Physicians who practice General Internal Medicine offer comprehensive health care, preventive medicine, and disease management for adults of all ages. 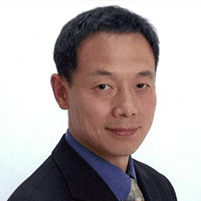 Hao Zhang, MD, Ph.D., of Edison Wellness Medical Group in Edison, New Jersey, specializes in general internal medicine, helping patients with conditions including hypertension, diabetes, and gastritis. She wants to help you reduce your risk of experiencing a life-threatening heart attack, stroke, or other serious medical problem. If you’re in the Edison area and need expert care to manage conditions like hypertension or diabetes, call or schedule a consultation with Dr. Zhang online today — it could save your life. Hypertension — also known as high blood pressure — is an all-too-common condition for Americans, in which the long-term force of blood against artery walls causes health problems and heart conditions. When your heart has to pump more blood because it encounters a significant amount of resistance in your arteries for prolonged periods, you end up with hypertension. In most cases, your arteries narrow, forcing your heart to work harder to circulate blood throughout your body. Hypertension usually develops over the course of several years, and you may not experience any symptoms until it's too late. The only means to monitor your blood pressure and ensure it's within a safe range is through routine exams and blood pressure checks. Once Dr. Zhang determines that you have high blood pressure, he works with you to control it so that it doesn't become life-threatening. Many adults don’t experience any symptoms related to high blood pressure until it reaches dangerously high levels — even then, you may not notice. Some men and women do experience headaches, nosebleeds, or shortness of breath, but these rarely occur until your blood pressure reaches a severe level. The best way to prevent further complications — or a life-threatening scenario — is to have Dr. Zhang check your blood pressure on a regular basis for signs that there’s a problem. Ideally, you want your blood pressure to remain below 120/80, which is considered normal. Dr. Zhang works with you to develop an effective treatment plan to help lower your blood pressure and keep it within safe levels. Treatment may include making changes to your diet, becoming more active, quitting smoking, and medications that help control hypertension. Type 1 diabetes is not very common and typically occurs in children and young adults. Only about 5% of people with diabetes have type 1. It’s classified by the body’s inability to produce insulin — a hormone that is essential in moving glucose from the bloodstream into the cells where it’s needed. Those with type 1 diabetes usually need insulin therapy and other treatments so their bodies can effectively convert sugars and starches into glucose. Type 2 diabetes is the most common form of the disease, in which your body uses insulin ineffectively. With type 2 diabetes, your body causes the glucose (blood sugar) levels to rise higher than normal. At first, your pancreas makes extra insulin to compensate for this inefficiency, but over time, your body is unable to keep up with producing enough insulin to process glucose and keep it at a normal level. Making small adjustments to your diet and activity each day can make a big difference in your long-term overall health. Changes in nutrition and lifestyle can help prevent or delay the onset of diabetes, as well as help you become less dependent on prescription medications. Dr. Zhang uses a procedure to diagnose gastritis called an upper endoscopy, in which he inserts a thin tube containing a camera through your mouth into your stomach. Dr. Zhang may also request blood tests and check your stool for blood as a potential sign of gastritis. He discusses your medical history, performs a physical exam, and talks to you about your symptoms. When you treat the underlying cause of gastritis, the unpleasant symptoms usually subside as well. If you suspect you have hypertension, diabetes, or gastritis, don’t wait to take action. Call or schedule an appointment online today.